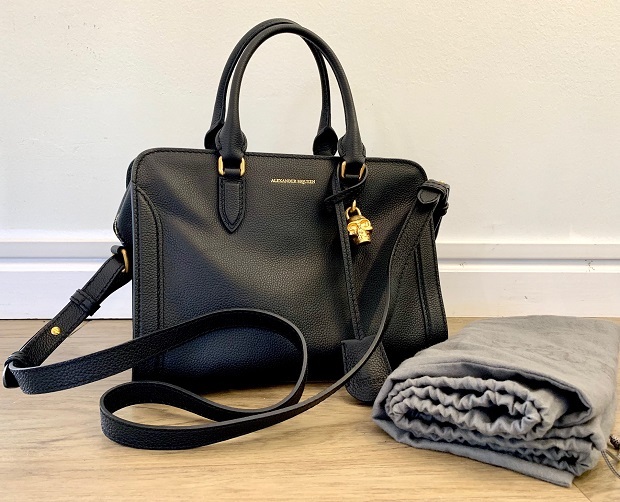 Alexander McQueen Padlock Black Leather Satchel. Base height excluding straps 9" x 12" width. Adjustable shoulder strap. Hand strap drop 14". 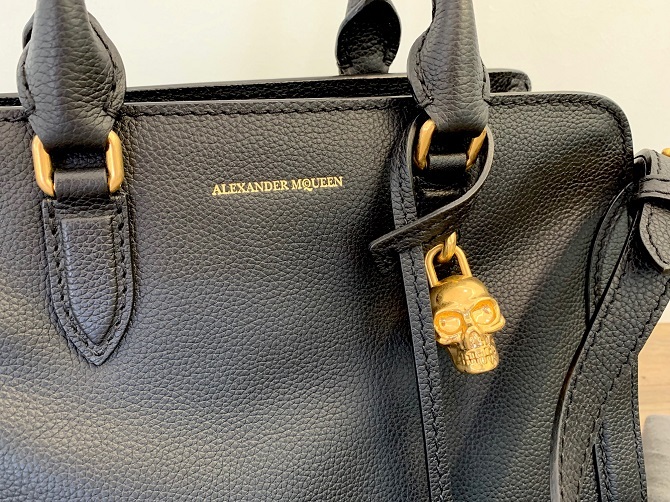 Alexander McQueen dust bag included. 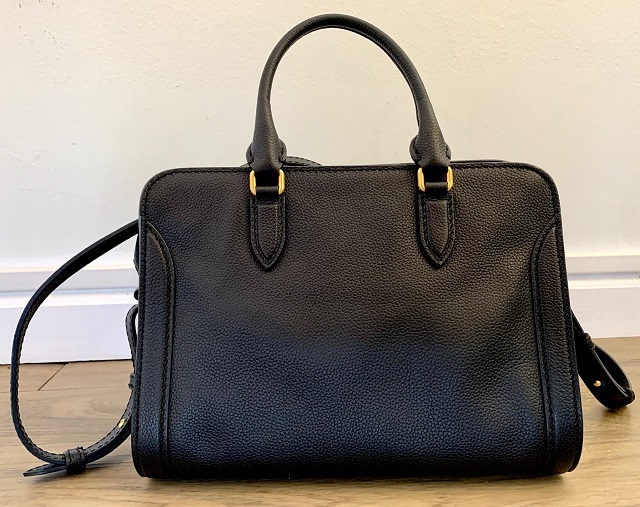 We buy, sell, and trade estate designer handbags.